After consulting with our senior living experts, developers of this facility found the innovations and value they’d been seeking. Providing a top-notch community atmosphere to residents and their guests, in addition to superior access to staff, were top priorities, so we designed around the concept of a central community gathering area with in-house amenities. 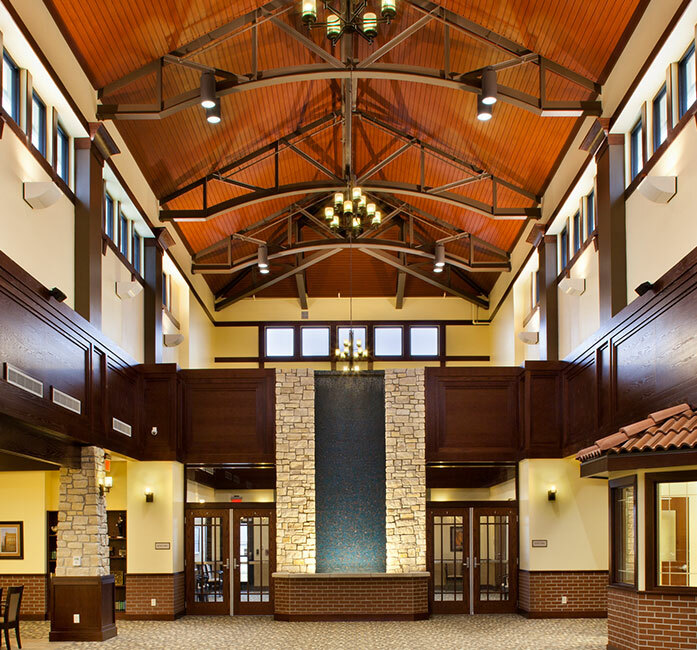 GLMV designed this skilled nursing facility located on a 12-acre site. The 54,000-square-foot facility is divided into four 20-person, one- and two-bedroom units. Each unit has its own entrance, commons area, and courtyard. A large, central dining area and multiple nurses stations were designed to allow residents the interaction and co-location of staff they desired.